Long before anybody was thinking about digital cameras, Polaroid invented instant photography. Shoot a picture, and 60-seconds later you had a snapshot in hand. It's the archetypical Polaroid experience. 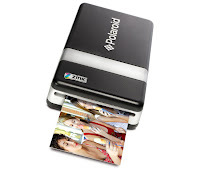 Todays Mobile Printer largely recreates that experience for the digital photography age. The PocketJet 3 Plus with Bluetooth Printer is an interesting print alternative for mobile professionals. This printer is well suited to printing documents and forms. While it isn’t ideal for high quality graphic images, it does the job for quick B & W images that you may need to show a client or co-worker. This mobile printer enables you to print in colour from any Bluetooth-enabled gadget which is very useful while on the road. It weighs 4.6lbs and has been ruggedly designed for a mobile life. The Deskjet 460wbt mobile printer can operate from an external power source or the rechargeable battery. Print output is from 4" x 6" to 8.5" x 11". The Canon Pixma i90 Mobile Printer offers mobile professionals IrDA, USB or Bluetooth options and a car adapter is also available. Colour prints are possible from 4" x 6" to 8.5" x 11". The Canon Pixma i90 mobile printer weighs 4.4lbs and the dimensions are: 2.0 by 12.2 by 6.9 inches (HWD).